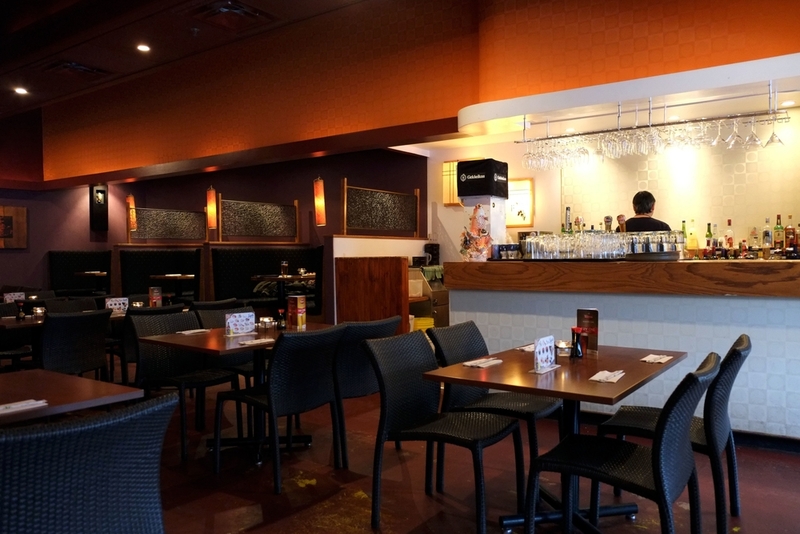 Wasabi is located in the heart of the Byward Market in downtown Ottawa, CA. Since our inception, we have been putting together innovative Japanese dishes that provide a refreshing take on classic designs. 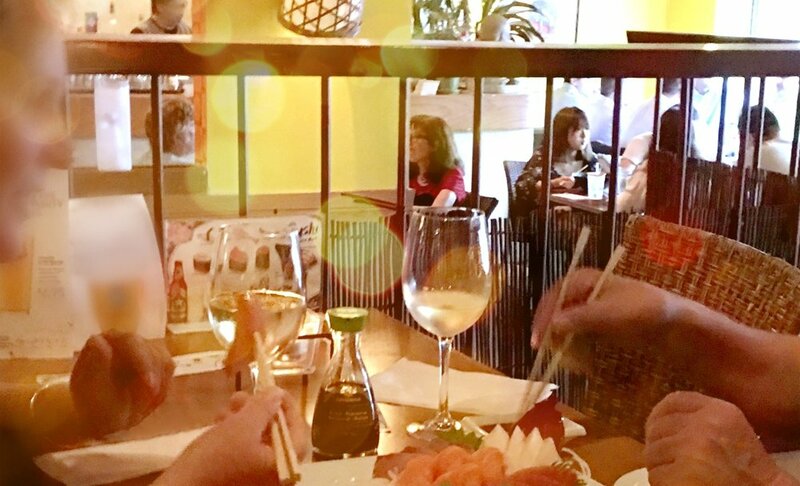 In addition to a large assortment of fresh sushi and sashimi, our menu offers Teriyaki, Ramen, and an Izakaya menu for you and your guests to share and enjoy. We are steps away from the National Art Gallery, the Parliament Buildings, Major's Hill Park, the U.S. Embassy, National Arts Centre, Fairmont Chateau Laurier, Westin Hotels, and just across the bridge from the Canadian Museum of History. Kani, Tobiko, Cucumber, Mayo on Mango and Fennel spears, mixed greens with Mango Vinaigrette. Cilantro, edamame, avocado with a zesty lemon dressing. Fuji apples tossed with our house kimchee, mixed greens, garnished with crispy prosciutto and inari. Tofu simmered in hot pot with our house kimchee, veggies and konbu miso broth. Shrimp and konbu broth with lemongrass, mildly spicy. A light Miso Chowder w/ Shrimp, Scallop, and Fish. Grilled and skewered meat (chicken, beef, etc.). Diced tuna, avocado, and masago, seasoned with a mild chili sauce. Thinly sliced and seasoned seared beef tenderloin . Lightly Seared, Thinly Sliced, Served with a Soyu Onion Sauce (Salmon, Tuna, Yellowtail, Beef tenderloin). Fresh Oysters, Panko-crusted, served with Mustard Katsu Sauce. Raw and cooked seafood in a spicy lime dressing. A Japanese savory pancake; cabbage, green onions, smoked bonito and tempura flakes (a little spicy). Pan-fried scallops in a sweet miso sauce. Beef short ribs marinated in Sake and Soyu. Served in a hot griddle with smashed potato and miso her butter. Black Cod marinated in miso and sake. Choice of chicken, steak, scallop, salmon, or shrimp. Served on a sizzling platter with your choice of miso soup or green salad and steamed rice. Shrimp tempura, avocado, cucumber, masago, mayo with a spicy tuna topping. Spicy Tuna, Cucumber, Lettuce and Tempura Flakes. Topped with Unagi and drizzled w/ a Spicy Kabayaki Sauce. Fine sheets of daikon radish wrapping assorted sashimi and cucumber. *Named after and created by NACO Principal Cellist Amanda Forsyth. Spicy salmon, avocado, crab stick and tempura flakes, covered with salmon sashimi and garnished with salmon roe. *Named after and created by Dallas Star forward Jason Spezza. Spicy White Tuna, Tobiko, Mango w/ Garlic Chip and Jalepeno. Panko-Crusted Soft Shell Crab, Avocado, and Spicy Mayo w/ Red Tuna, White Tuna and a tangy Mustard Sauce. Ramen is a Japanese noodle soup dish. It consists of Chinese-style wheat noodles served in a meat- or fish-based broth. Spicy Ground Chicken and Pork, Tomatoes and Potatoes in a Tonkatsu Broth. PigTails with Potatoes in Tonkatsu Broth. Scallop, Shrimps, Baby Octopus, Mussels, Fish, in a Spicy Misotare. Udon is a type of thick wheat flour noodle while Soba is a thin type of noodle made from buckwheat flour. Udon noodles w/ Shrimp Tempura with mixed Vegetables. Assorted seafood w/ mixed vegetables. Soba noodles served chilled w/ Sweet Soy Dipping Sauce and Shrimp Tempura. Udon noodles w/ shrimp tempura, chicken, vegetables, and egg. Chicken teriyaki w/ mixed tempura, 3-piece California roll and gyoza. Choice of steak teriyaki, pan fried seafood w/ miso sauce, or assorted sashimi, w/ mixed tempura. includes 3-piece California roll and gyoza. Chicken Yakitori, spicy salmon roll, 4 pieces of salmon sushi, and gyoza. Katsu soft shell crab, salmon teriyaki, oyster tempura temaki, and 3-piece California roll. Watercress, Oshitashi, Yasai gyoza, age tofu, and Zen Zen roll (vegetarian). All items are subject to availability and menu subject to change. Malibu rum, strawberry liqueur, cream, pineapple and strawberry juices. Malibu rum, pineapple, orange, mango, and cranberry juices. Skyy Vodka, lychee liqueur, blue curacao, lychee and pineapple juices. Raspberry vodka, melon liqueur, pineapple and cranberry juices. Jack Daniel's, Japanese plum wine, and 7up. Ginger vodka, club soda, grapefruit, orange, lime and pineapple juices. Appleton rum, grand marnier, lime juice and mint leaves. Gin or vodka with vermouth. Skyy Vodka, grand marnier, cranberry and lime juices. Skyy Vodka, melon liqueur, pineapple juice with a splash of Sake. Blueberry vodka, cointrau, cranberry juice, and blueberries. Skyy Vodka, lychee liqueur with lychee juice. Gin, Triple Sec, lemon juice, dash of grenadine. Bailey's Irish Cream, Raspberry Vodka, and Raspberries. Ginger vodka, lemon juice, splash of honey. Skyy Vodka, cold sake, dash of gin. Oyster Bay, New Zealand - Marlborough Region. Crafted by Japanese winemaker Yoko Sato - Made specifically to pair with sushi. Kim Crawford V.Q.A, New Zealand. Our finest selection of three sakes from the sake bar. Premium Ginjo Sake - served chilled. Unfiltered Sake - served chilled. Pale Lager - distinctive floral hop aroma with a refreshing finish. Our dining room can accommodate your small groups or large parties comfortably, extending to the outdoor patio during the hot summer months. For your special functions and cocktail parties, Wasabi would be happy to host. Please contact our wonderful staff and it will be our pleasure to assist in customizing a plan - including table layout and menu - that caters to your every need.